Rethinking the role of autonomy in art is one of the driving forces behind The Thing Frankfurt. In the internet no one's alone any more. How can we participate, how can we cooperate? Do we need "real" people for this? Or can we replace others with certain processes? Post Autonomy is a new term and concept first conceived by Michael Lingner in the 1980s. Its core argument is that art can longer access new forms of autonomy, but must give up its idea of autonomy alltogether. 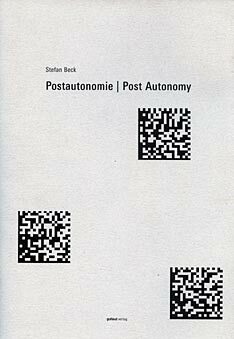 Postautonomy Reader, a collection of essays and discussions on art and autonomy.